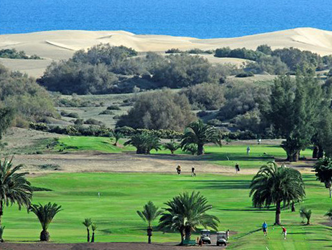 Golf course next to the Dunes. 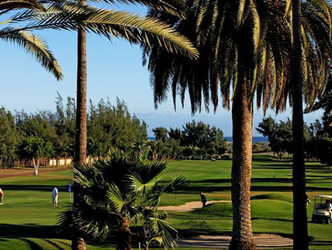 In the south-east of our island, one of the places in the world with the most hours of sunshine per year, we find Maspalomas, the most important tourist area in Gran Canaria, with spectacular beaches of fine, golden sand where you will find everything from luxury hotels to small housing complexes with every type of comfort. "Its a good cource to start the swedish season with. Not so difficould and no hills. We like it." "Banan i bra skick. 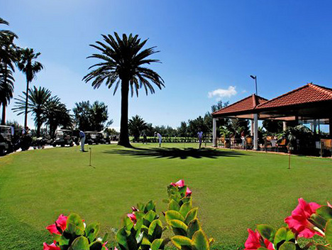 Helheten på Maspalomas Golf är underbar." "A little bit expensive for one round. Had been nice to play all day for the greenfee. The service was very good and the booking works perfect."